An exquisitely designed archtop body with quilt maple top, Broderick Designed humbuckers and Floyd Rose temolo. When Chris Broderick joined a revitalized Megadeth in 2008, fans were awestruck by his dazzling thrash fretwork. 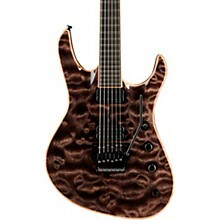 Jackson now honors this modern metal master with the Chris Broderick Soloist, in six-string and seven-string models. Working with Jackson Custom Shop Master Builder Mike Shannon, Broderick designed his own special take on the venerable Soloist, with an offset arch-top mahogany body and quilt maple top (with matching headstock). 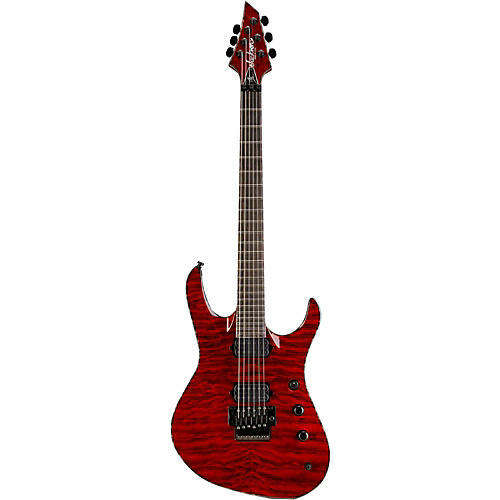 Features include quartersawn maple neck with quilt maple binding and Floyd Rose nut, natural body and headstock binding, ebony fingerboard with 12" radius and 24 jumbo stainless steel frets, Broderick-designed Custom DiMarzio direct-mounted humbucking neck and bridge pickups, kill switch, recessed Floyd Rose Pro bridge, black hardware, Planet Waves Auto-Trim tuners, side-mounted Rhoads jack, Ernie Ball strap locks and case. Step up to the best you can get. Order today.